So, here's my first post related to Python. Got this wonderful chance to enroll for a course in www.coursera.org with the University of Toronto for a class titled ' Learn to Program: The Fundamentals." It's been five weeks since I joined the class and have been doing pretty good. But to be candid, I really do not know much about it other than reading a lot of awesome stuffs about it on the internet. 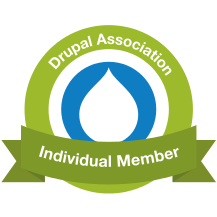 Since the past four years I have been more of a 'web guy' dealing with Open Source Stuffs and currently getting my hands strong with Drupal. But don't know without any reason I feel pretty excited about Python and without thinking much have decided to dive deep into it; as much as I can. Lets see how much posts I can continue to roll out in the upcoming days. & this post shall act as a checkpoint for me to see how far I've traversed in my journey with Python.